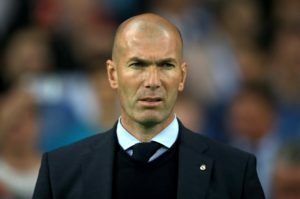 Barcelona are closing in on the signing of Eintracht Frankfurt hot-shot Luka Jovic, according to reports in Germany. 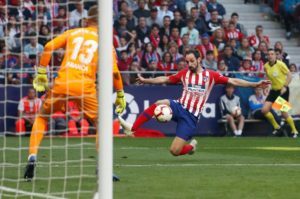 The Serbia international’s representatives have ‘largely agreed’ terms on a move, says Frankfurter Allgemeine Zeitung, but the two clubs have yet to settle on a fee, one which is expected to top the 65million euros Barca paid for Frenkie De Jong in last month’s transfer window. 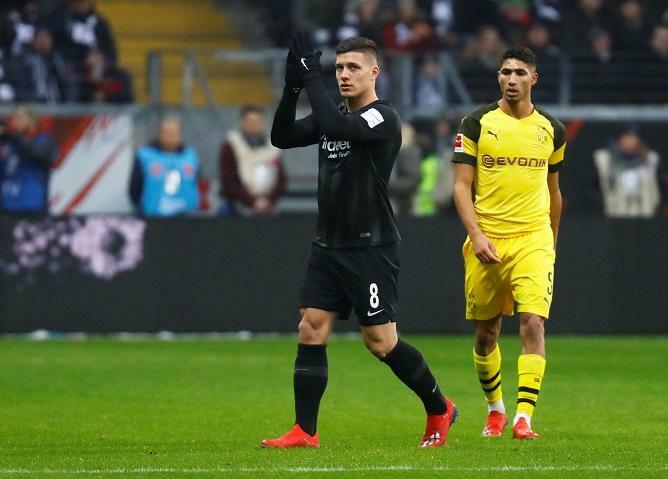 Jovic, currently the Bundesliga’s top scorer, is still technically a Benfica player, but Frankfurt have an option to buy when his loan spell finishes at the end of the season. 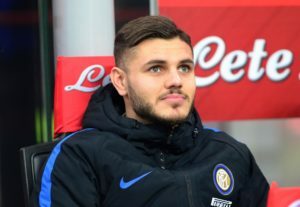 It is claimed the club will immediately sell him on. 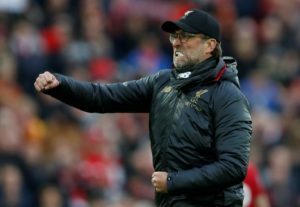 The forward has netted 19 times in 27 games in all competitions this season and is seen as a long-term replacement for Luis Suarez by Barca. 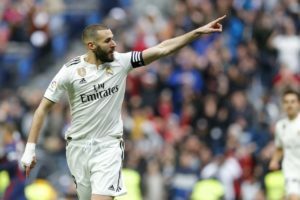 Real Madrid also retain an interest, according to the report, while other clubs previously linked with the 21-year-old include Chelsea and Bayern Munich. Despite Jovic’s goals, Frankfurt sit only fifth in the Bundesliga table, trailing Red Bull Leipzig by five points with 13 games to play in the race for a top-four finish and a Champions League berth. 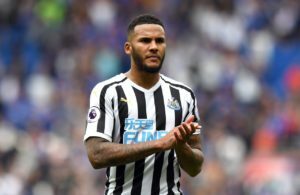 Jamaal Lascelles is adamant Newcastle United can improve after the club all-but secured their Premier League status. 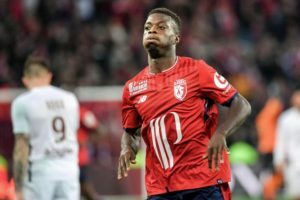 Lille president Gerard Lopez has reiterated that Nicolas Pepe will leave in the summer because they now 'can not afford' to keep him. 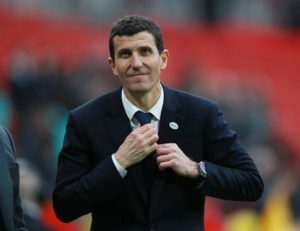 Boss Javi Gracia has told Watford to forget about the FA Cup final and focus on the race for Europe as he prepares to face Arsenal. 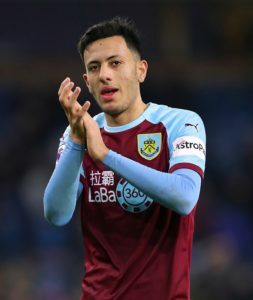 Burnley boss Sean Dyche hailed the efforts of Dwight McNeil after he set up both goals in the 2-0 win over Cardiff. Kylian Mbappe hit out at Paris Saint-Germain's lack of character after they suffered a humiliating 5-1 defeat at Lille on Sunday. 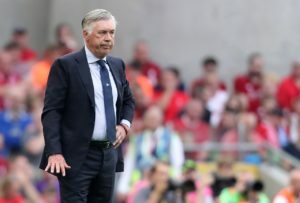 Fortuna Dusseldorf coach Friedhelm Funkel admitted Bayern Munich were too strong for his team as they wrapped up a 4-1 win.